Today happens to be the feast of the Annunciation of the Lord, so I thought it would be appropriate to share a photo of one of the many local chapels with this dedication. This particular chapel can be found in Salina and is in regular use. As it turns out, I popped down to take its photo last Saturday, while the chapel was open for evening Mass. I had been down this way before, with my brother, to visit the catacombs in the area, but had not visited the chapel. Initially I composed for a frontal view, and made an exposure. While I’m also happy with this, I thought I’d do well to explore other options. So I walked around a bit and eventually settled on this view, which better highlights the unusual buttresses on the sides. From what I read, these were added in the late 18th century to strengthen the structure, as the side walls were bulging out. 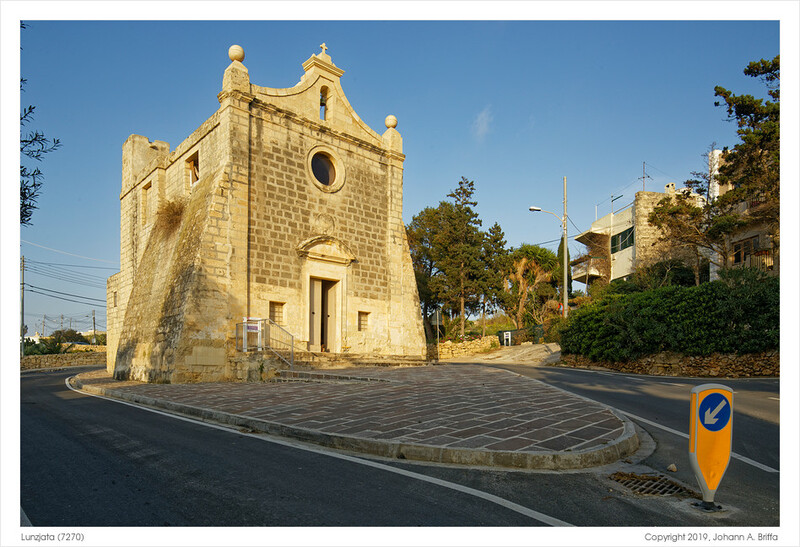 Those who would like to know more about the chapel would do well to visit the corresponding page at Kappelli Maltin (in Maltese).